Find below a list of all our technology products and solution offerings. Click on the item to find out more. A revolutionary digital healthcare solution that connects GP’s, Specialists & Patients. Our software turns any computer, smart phone or tablet into your very own portable medical clinic. Authorised Medicare and DVA billing software for GP’s and Specialists. 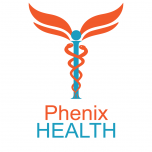 Powered by Phenix Health, the only cloud based Medicare claiming system with a Data validation System. Smart Glasses developed for Revolutionary Training within a variety of industries, including medical, compliance, manufacturing and technology sectors. Phenix Health’s sophisticated and highly intuitive Rostering and Dispatching software. Catered especially for Aged Care & NDIS home care models. Solution for allowing correct indentification, verification and efficiencies in various healthcare processes. Live Reporting and Cluster Mapping available for client and patient tracking for company and service analysis.